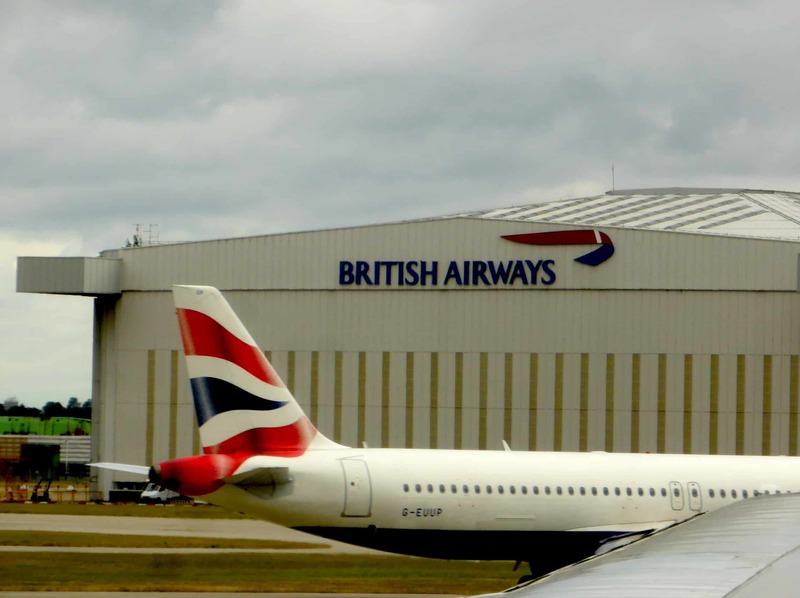 My husband and I recently flew British Airways from JFK InternationalAirport to Nairobi with a connecting flight in London. Thus, we had the opportunity to sample four different flight segments on this one trip—-remarkably, each of the flights took off and landed on time—or close to it. British Airways (BA) is the flag carrier of the United Kingdom. It is also the country’s largest—in terms of both the size of the fleet and number of flights, flying to 700 destinations in 150 countries. A founding member of the One World Alliance, the airline codeshares with other international carriers, including American Airlines. With its home base at London Heathrow Airport, it is one of a handful of carriers that fly to all six inhabited continents. Like Cunard’s Queen Mary, British Airways has different classes of service—economy, premium economy, business and first class—which offer different amenities. Since our flight time to and from Nairobi was going to total about 14 hours in each direction, we splurged on World Traveller Plus (premium economy) seats. The cabin had a 2-4-2 seat configuration. Our seats had adjustable hammock-style headrests that worked well. But we were especially appreciative of the ample legroom we found on each segment. (As one might expect, seats get quite a bit tighter as space narrows towards the tail of the plane). The overhead bins were spacious enough for our carryon luggage. Even the seat pockets were roomier than most. A passenger can easily stow an e-book or computer in front without worrying about it popping out at the top. This is possible because the tray table is attached to the armrest rather than the seatback. On the trip from JFK to London, we were offered a tasty dinner and a snack as well as complimentary wines, beer, liquor, soft drinks and juice. The crew lived up to their proper British accents; they were uniformly courteous, professional and attentive. In-flight amenities included earplugs, a pair of socks, and a toothbrush and toothpaste. The bathroom cabin was stocked with Freshorize, a pleasant three-in-one product combining antibacterial soap, a moisturizer and air freshener. The inflight entertainment system offered 250 hours of entertainment:audio, TV, movies, maps and other information. Full-size padded earphones (at no additional charge) provided for easy listening, as compared to the flimsy sets we have often been given (or paid extra for) on other airlines. There were two USB ports on each seatback, handy for keeping cellphones fully charged. The airline also has a nice inflight magazine, High Life Magazine, offering travel tips and inspiration. The icing on this already sweet cake came when we learned we were upgraded to business class for the last segment of our flight from London to JFK. This was the first time we had experienced flat bed seats with comfortable padding, and I think we are spoiled for life. The beautifully designed seats are so bedlike that they are probably more akin to the space offered by a room in a capsule hotel rather than on an airline. Built for comfort and privacy, they achieve that objective and allow for a solid sleep while crossing the pond. “I’m ready to turn around and do the same trip in the opposite direction,” my husband joked as we landed at our final destination. Tea service in business class always includes traditional English scones with clotted cream and jam. Combined with attentive service and restaurant-style course-by-course dining, this was one flight we both wished would last longer. We were very pleased with all four segments and wouldn’t hesitate to book British Airways again: smooth flights, professional service and more than decent space when competitor’s airline cabins and seats seem to be shrinking in size. N.B. The spacious and contemporary Galleries Lounge at JFK is a great place to wait to board your BA flight. For more information, including routes, see the British Airways website. Watch this incredible video from BA, “A Ticket to Visit Mum.” Thanks to Tnooz.com for bringing it to my attention. This is one of a series of posts about my experiences on new-to-me airlines. Surely, each flight is different but it’s always helpful to get general impressions of what to expect before you fly. If you fly Interjet and have a very different experience, please feel free to comment below.